Proteomics technologies had a remarkable impact on systems biology and biomedical research. For instance, mass spectrometry-based approaches now allow the large-scale mapping of protein-protein interaction networks, the quantification of proteins in different experimental conditions(e.g. normal and disease-related samples) and the identification of post-translationally modified proteins in complex biological samples (e.g. tissue or serum). The sensitivity and reproducibility of proteomics technologies are continuously increasing, thereby allowing the community to address biological questions never answered before. However, these improvements only translate into meaningful biological results when coupled with tailored computational analyses. 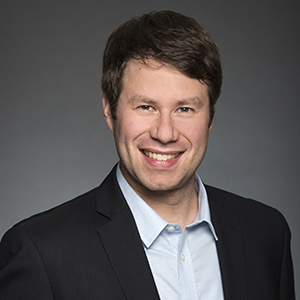 Dr. Lavallée-Adam’s lab seeks to continuously adapt its computational research to emerging proteomics technologies and to produce innovative algorithms in order to generate novel high impact biomedical discoveries. Dr. Lavallée-Adam’s research yielded, among other things, software packages for the discovery and confidence assessment of protein-protein interactions and the analysis of the networks formed by these interactions. He also developed algorithms for the analysis of quantitative proteomics data obtained in different experimental conditions and the identification of intact proteins and large polypeptides using mass spectrometry. Finally, his lab’s most recent work aims to develop computational tools for the prediction of drug targets and off-target effects using large-scale mass spectrometry. Develop algorithms for the integration of quantitative proteomics datasets into protein-protein interaction networks to obtain a better understanding of cellular mechanisms. Design computational approaches for the identification of proteins and post-translational modifications in complex biological samples using mass spectrometry. Increasing the sensitivity of protein identification will help the characterization and provide a deeper understanding of the biological processes at work in such samples. Build software packages that identify high quality biomarker signatures and allow the discovery of novel drug targets for complex diseases through the integration of large-scale datasets and biological networks. These algorithms will provide better tools for diagnostic, prognostic, and therapeutic purposes. Ultimately, the main objective of the Lavallée-Adam Lab is to develop computational methods that will lead to a better understanding of cellular mechanisms and diseases processes. These approaches will push the boundary of proteomics applications in systems biology and clinical research. Most importantly, they will provide high quality biomarker signatures and will allow the discovery of novel drug targets for complex disease processes. Lavallée-Adam, M., Yates III, J. R. (2016) Using PSEA-Quant for protein set enrichment analysis of quantitative mass spectrometry-based proteomics datasets. Current Protocols in Bioinformatics. 13.28. Pankow, S., Bamberger, C., Calzolari, D., Martínez-Bartolomé, S., Lavallée-Adam, M., Balch, W. E., Yates III, J. R. (2015) DeltaF508 CFTR interactome remodeling promotes rescue of Cystic Fibrosis. Nature. 528(7583): 510-516. Lavallée-Adam, M., Park, S. K. R., Martínez-Bartolomé, S., He, L., Yates III, J. R. (2015) From raw data to biological discoveries: A computational analysis pipeline for mass spectrometry-based proteomics. Journal of The American Society for Mass Spectrometry. 26(11): 1820-1826. Rauniyar, N., Subramanian, K., Lavallée-Adam, M., Martínez-Bartolomé, S., Balch, W. E., Yates III, J. R. (2015) Quantitative proteomics of human fibroblasts with I1061T mutation in Niemann-Pick C1 (NPC1) protein provides insights into the disease pathogenesis. Molecular and Cellular Proteomics. 14(7): 1734-1749. Savas, J. N., Ribeiro, L. F., Wierda, K. D., Wright, R., DeNardo-Wilke, L. A., Rice, H. C., Chamma, I., Wang, Y.-Z., Zemla, R., Lavallée-Adam, M., Vennekens, K. M., O’Sullivan, M. L., Antonios, J. K., Hall, E. A., Thoumine, O., Attie, A. D., Yates III, J. R., Ghosh, A., de Wit, J. (2015) The sorting receptor SorCS1 regulates trafficking of neurexin and AMPA receptors. Neuron. 87(4): 764-780. Thiffault, I., Wolf, N. I., Forget, D., Guerrero, K., Tran, L. T., Choquet, K., Lavallée-Adam, M., Poitras, C., Brais, B., Yoon, G., Sztriha, L., Webster, R. I., Timmann, D., van de Warrenburg, B. P., Seeger, J., Zimmermann, A., Máté, A., Goizet, C., Fung, E., van der Knaap, M. S., Fribourg, S., Vanderver, A., Simons, C., Taft, R. J., Yates III, J. R., Coulombe, B., Bernard, G. (2015) Recessive mutations in POLR1C cause a leukodystrophy by impairing biogenesis of RNA polymerase III. Nature Communications. 6: 7623. Sanders, S. S., Martin, D. D. O., Butland, S. L., Lavallée-Adam, M., Calzolari, D., Kay, C., Yates III, J. R., Hayden, M. R. (2015) Curation of the mammalian palmitoylome indicates a pivotal role for palmitoylation in diseases and disorders of the nervous system and cancers. PLOS Computational Biology. 11(8): e1004405. Buffon, G., Blasi, É., Adamski, J., Ferla, N., Berger, M., Santi, L., Lavallée-Adam, M., Yates III, J. R., Beys-da-Silva, W., Sperotto, R. (2015) Physiological and molecular alterations promoted by Schizotetranychus oryzae mite infestation in rice leaves. Journal of Proteome Research. 15(2): 431-446. Lavallée-Adam, M.,Rauniyar, N.,McClatchy, D. B., Yates III, J. R. (2014) PSEA-Quant: A protein set enrichment analysis on label-free and label-based protein quantification data. Journal of Proteome Research. 13(12): 5496-5509. Han, X., Wang, Y., Aslanian, A., Marshall, B., Lavallée-Adam, M., Yates III, J. R. (2014) Sheathless capillary electrophoresis-tandem mass spectrometry for top-down characterization of pyrococcus furiosus proteins on a proteome scale. Analytical Chemistry. 86(22): 11006-11012. Cloutier, P., Lavallée-Adam, M., Faubert, D., Blanchette, M., Coulombe, B. (2014) Methylation of the DNA/RNA-binding protein Kin17 by METTL22 affects its association with chromatin. Journal of Proteomics. 100: 115-124. Lavallée-Adam, M.,Rousseau, J., Domecq, C., Bouchard, A., Forget, D., Faubert, D., Blanchette, M., Coulombe, B. (2013) Discovery of cell compartment specific protein-protein interactions using affinity purification. Journal of Proteome Research. 12(1): 272-281. Cloutier, P., Lavallée-Adam, M., Faubert, D., Blanchette, M., Coulombe, B. (2013) A newly uncovered group of distantly related lysine methyltransferases preferentially interact with molecular chaperones to regulate their activity. PLOS Genetics. 9(1): e1003210. Forget, D., Lacombe, A.-A., Cloutier, P., Lavallée-Adam, M., Blanchette, M., Coulombe, B. (2013) Nuclear import of RNA polymerase II is coupled with nucleocytoplasmic shuttling of the RNA polymerase II-associated protein 2. Nucleic Acids Research. 41(14): 6881-6891. Lavallée-Adam, M., Cloutier, P., Coulombe, B., Blanchette, M. (2011) Modeling contaminants in AP-MS/MS experiments. Journal of Proteome Research. 10(2): 886-895. Lavallée-Adam, M., Coulombe, B., Blanchette, M. (2010) Detection of locally over-represented GO terms in protein-protein interaction networks (Extended version). Journal of Computational Biology. 17(3): 443-457. Forget, D., Lacombe, A.-A., Cloutier, P., Al-Khoury, R., Bouchard, A., Lavallée-Adam, M., Jeronimo, C., Blanchette, M., Coulombe, B. (2010) The protein interaction network of the human transcription machinery reveals a role for the conserved GTPase RPAP4/GPN1 and microtubule assembly in nuclear import and biogenesis of RNA polymerase II. Molecular and Cellular Proteomics. 9: 2827-2839. Cloutier, P., Al-Khoury, R., Lavallée-Adam, M., Faubert, D., Jiang, H., Poitras, C., Bouchard, A., Forget, D., Blanchette, M., Coulombe, B. (2009) High-resolution mapping of the protein interaction network for the human transcription machinery and affinity purification of RNA polymerase II associated complexes. Methods. 48(4): 381-386.